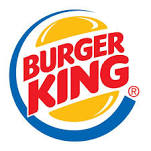 In 1954, James McLamore and David Edgerton opened their first BURGER KING® restaurant in Miami, Florida. These visionaries had extensive experience in restaurant business and a shared belief in the guiding principle of offering reasonably priced quality food, served quickly, in attractive, clean surroundings. Our Vision today honors their original vision.